Through the looking glass: If you're interested in the contract-free cell phone service from Google, Google Fi, you can now pick up a SIM card in-store or online at BestBuy.com for $10. This amount will then be applied as a service credit. If you're the owner of an Android phone, odds are your device is supported by the service. For those unfamiliar with Project Fi, it's positioned as a low-cost alternative to the "big four" carriers. While Fi doesn't have its own cell towers just yet, it leases Sprint, T-Mobile, and US Cellular towers to provide a reliable experience. One of the features of Fi's cell service is the seamless switch between Sprint, T-Mobile, and US Cellular, depending on which service is strongest in your area. Additionally, Fi will automatically switch calls and data over to any available open Wi-Fi network, a feature that has since been built into newer Android releases. Originally, Fi only worked with phones licensed by Google. At launch, the Nexus 6, 6P, 5X, and Pixel devices were supported. Late last year, however, Google announced that the Fi service would be expanded to work with most Android phones and iPhones, although the latter still gets only a limited experience. If you don't have a device officially supported by Google Fi, your experience may vary. Phones officially supported by the carrier include the aforementioned Pixel and Nexus phones, along with the Moto G6, Moto X4, LG G7, and LG V35. If you're using Fi without one of these phones, you'll lose out on automatic carrier switching, VPN encryption, and be tethered to the T-Mobile network only. Don't let the somewhat-limited support sway you though. I can personally vouch for this service, both on and off Google-supported devices. I was an early adopter of Project Fi (now Google Fi) back when the Nexus 6 was the coolest phone on the block. I've since used the service with the Pixel 2 and 3, and the Samsung Galaxy S8 and S9. With the Samsung devices, I was tied to the T-Mobile network and had to manually configure the APN and profile to recognize the service. Now that Google officially supports the service across all Android devices, no manual configuration is needed. As long as you're ok with just T-Mobile, you can just pop in a SIM and use the service. As a Google Fi user, ease of access, quality of service, lack of contract, and upfront pricing has made me never look back. You pre-pay for the service at the beginning at the month, and estimate how much data you plan to use. The base service costs $20 per month, plus $15 for additional users on a family plan. Data costs $10 per gigabyte up to a maximum of $60. Once you reach 6 GB of usage, your bill remains the same up to a maximum of 15 GB. If you go beyond 15 GB, the service is throttled to 256 KB/sec. Any data you pay for and don't use gets rolled over to the next month. 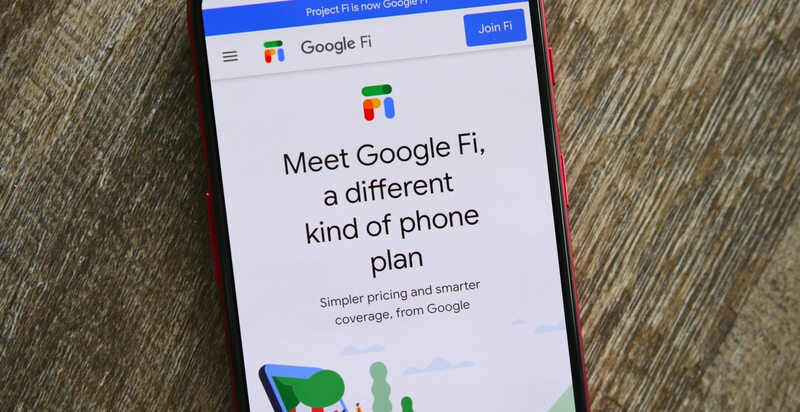 If you're sick of your carrier, Google Fi is at least worth a try. If you don't need phone service and instead want to use Fi's data coverage (in a tablet, for example), you can pick up a data-only SIM and pay the same price per GB as the full service plan.